(Serial No. 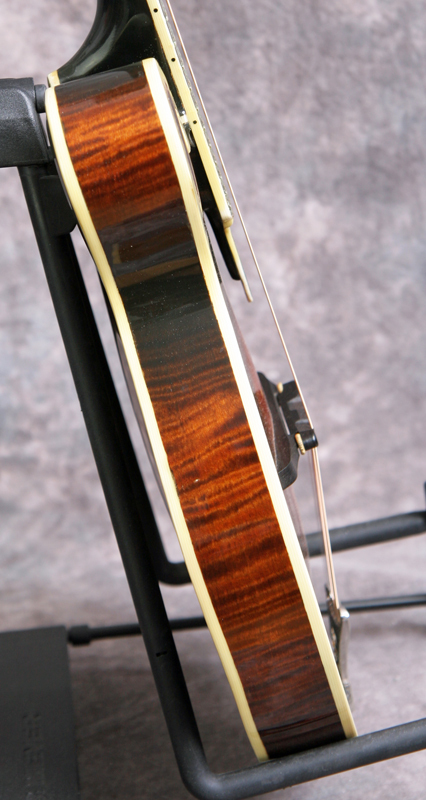 060) Excellent condition, dark cherry sunburst finish. 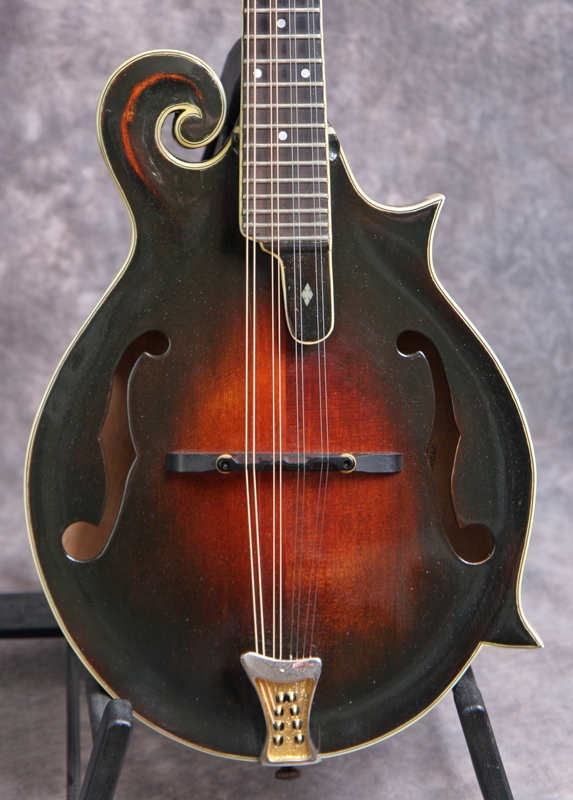 The late Lewis Price of Sumpter, SC was well-regarded as a mandolin builder and this instrument shows why. 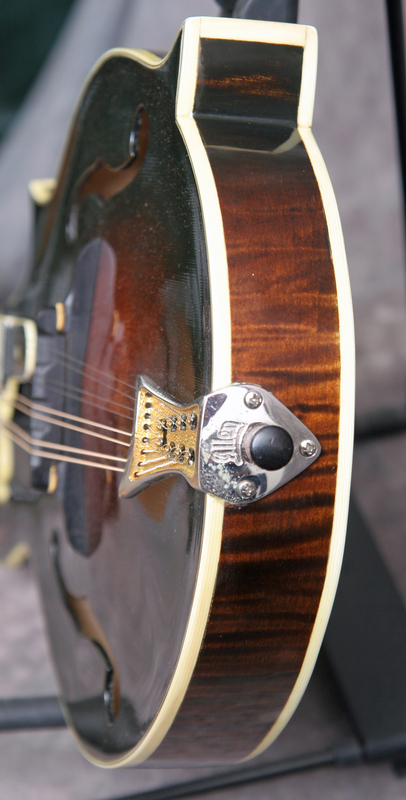 The mandolin has a solid Adirondack spruce top and a one-piece back of highly figured maple. Fully bound body, fretboard and peghead. The flat ebony fretboard with a 1 1/8 inch nut and a pearl nut is scooped to elimiante pick click. 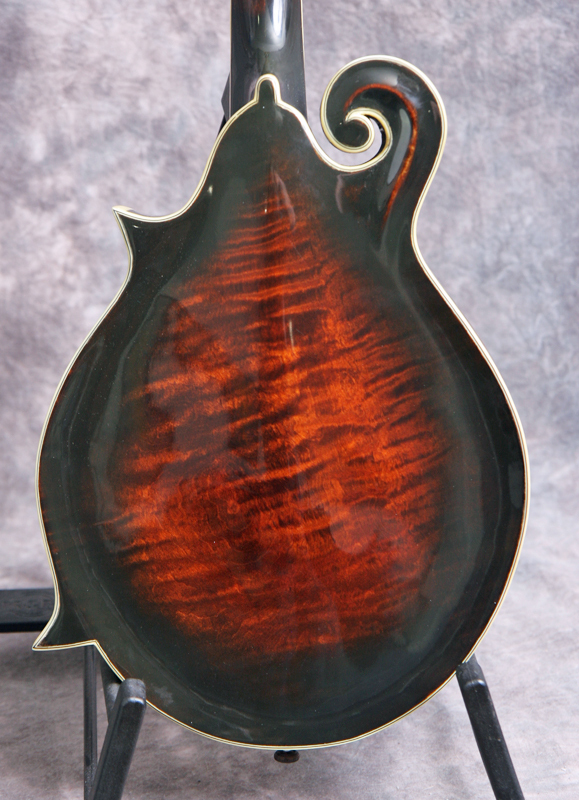 Has an ebony bridge as well. 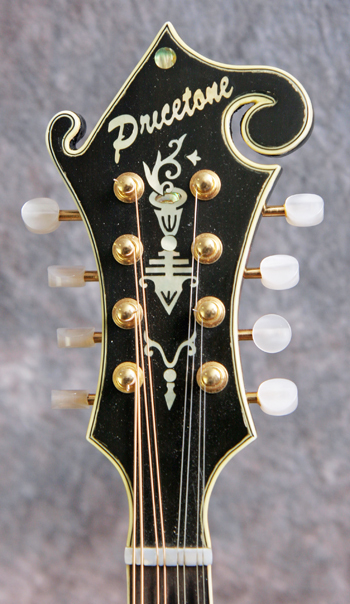 Nice pearl logo and inlay in the peghead. 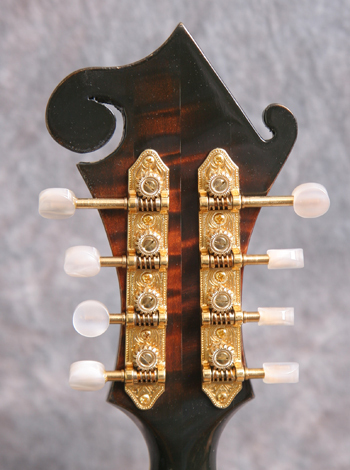 Fitted with a gold Allen one-piece bridge and gold Shaller tuners with pearl buttons. All hardware and finish appear original, with no repairs or other issues. The mandolion plays very well and has an excellent bluegrass sound with great projection and volume. To me, the neck profile is a very slender C shape. Comes with a Washburn rectangular hard case. Click the picture for a very large high resolution picture. Use your back browser button to return.